2 replacement roller heads with Diamond Crystals. Beautifully smooth feet in an instant. 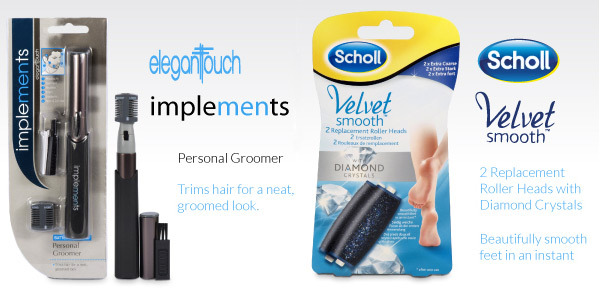 Elegant Touch Implements Personal Groomer. Trims hair for a neat, groomed look.